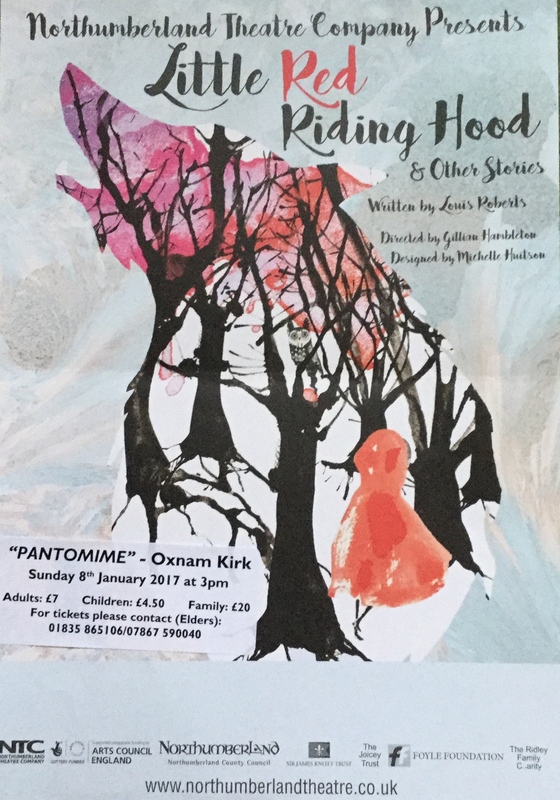 Oxnam is a small rural parish with a simple 17th century church which sits on a hill overlooking the surrounding farmland. Normal attendance at worship is between 20 and 35 and up to 150 for special events. Visitors are always welcome. All services start at 10.30 a.m. unless otherwise stated. 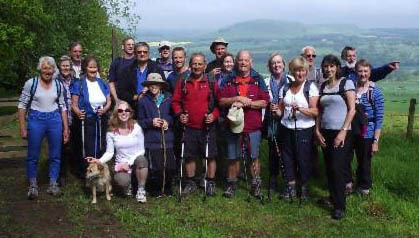 The church is a registered charity and, as such, is now registered on the “Just Giving” website. Please go there if you would like to contribute in this way. 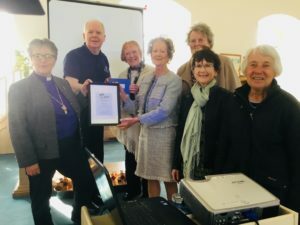 Oxnam Kirk has won the Church of Scotland’s ‘Show and Tell’ short film competition with an entry that was praised for showing “God’s love for the community.” The ModeratorRt Rev Susan Brown visited Oxnam Kirk on 4thMarch to present the prize. See ‘Events’ for report and more photos. 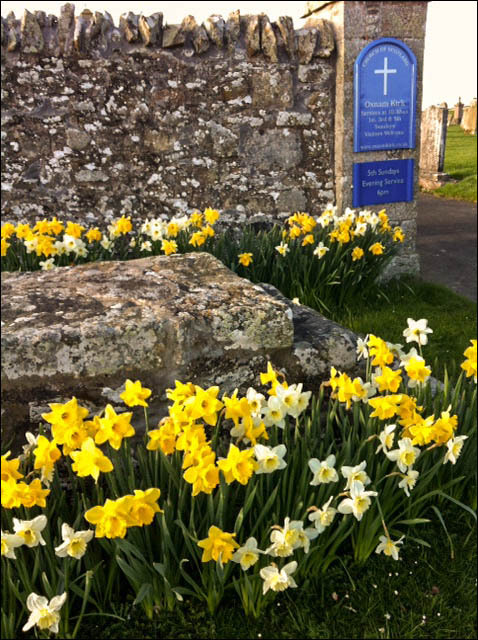 A host of spring daffodils at the church gate.